Born 13th October 1891 at Sheffield. He served with the 5th Royal Lancers during WW1 and served in Belgium, India, Burma and Ireland. 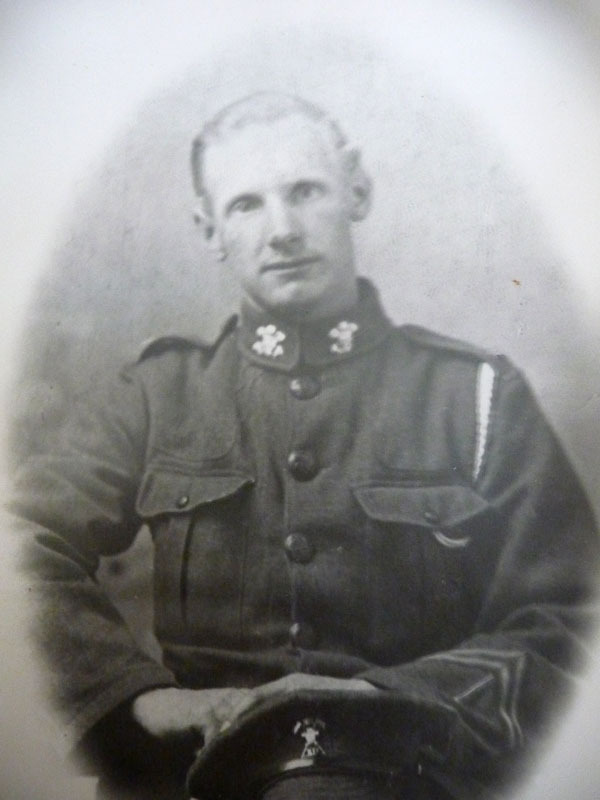 While in Belgium he fought in the Battle of Mon’s and was said to have seen the ‘Angel of Mons’ on the Battlefield. While stationed in Dublin he met and married Margaret Beatrice Mead and eventually brought the entire Mead family to the UK where they all lived and prospered. During WWI he was exposed to mustard gas and suffered his entire life from emphysema which eventually caused his death. He spent his working years in the steel factories in Sheffield and was an air raid warden during WWII. He lived the majority of his life at 35 Burcot Rd in Sheffield. He had four children and both of his sons served in the British Air Force during WWII. Thomas died on 21st January 1961 at Sheffield. His papers and MIC survive on Ancestry.